Top leaders of the 26th Marine Expeditionary Unit said they were preparing to put boots on the ground in Syria during their eight-month deployment, which wrapped up last month. Col. Matthew St. Clair, the MEU commander, and Navy Capt. Jim Cody, who led the Kearsarge Amphibious Ready Group, spoke to a group of reporters at the Potomac Institute in Virginia on Thursday. When President Obama discussed a military strike in September against the Bashar al-Assad regime following an apparent chemical weapons attack on civilians, St. Clair said Marines were preparing for a situation that would require them to make landfall, according to U.S. News and World Report. Cody said preparations for a mission in Syria began even earlier, the magazine reported. When the ARG deployed in March for the Mediterranean Sea and the Gulf of Aden, they anticipated assisting with a humanitarian crisis there, he said. The Marines and sailors reportedly remained on alert between the civil war there, heightened threat levels in Syria and the anniversary of the 2012 attack in Benghazi, the magazine reported. 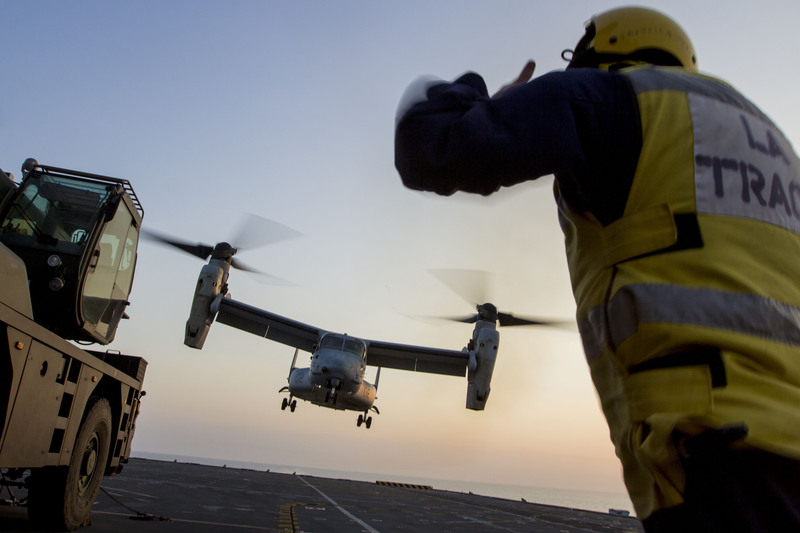 The MEU returned to North Carolina in early November.